A must have for every first aid box! So much safer to use than ordinary scissors, when cutting bandages. 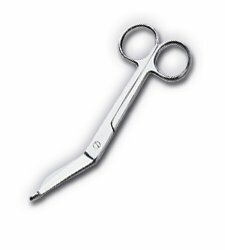 These stainless steel scissors are manufactured by Sharp Vet.